Harrison Crandall was the first and only official photographer for Grand Teton National Park and was the first artist-in-residence in Jackson Hole! His life and work is displayed in amazing fashion here as told by author Kenneth Barrick. Dr. Barrick graciously signed several copies of his book when he visited Jackson recently, and now you can own one of these signed copies. 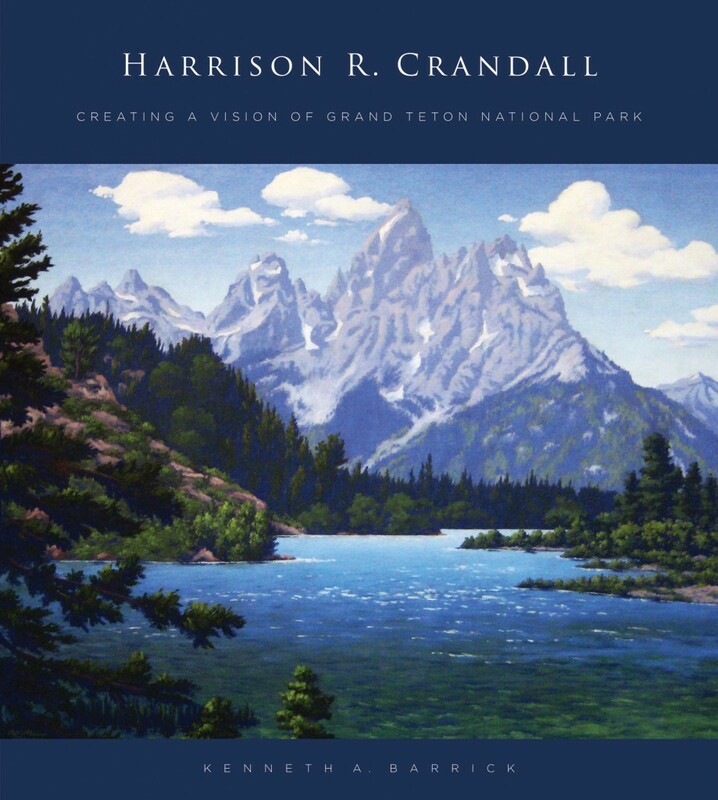 Harrison Crandall - Creating a Vision of Grand Teton National Park is also a wonderful history of Crandall's family and the Jackson Hole area of Wyoming. Rare photographs and Crandall's paintings and illustrations fill this beautiful work. It is truly a treasure for admirers of his work, and would also make an excellent gift idea. Purchase your autographed copy today, as these supplies are limited.